ASX-listed Paladin Energy has announced plans to put its Namibia-based Langer Heinrich uranium mine (LHM) on care and maintenance, blaming “stubbornly” low uranium prices and dwindling stockpiles. The company previously disclosed that the medium-grade stockpiles, which are currently the processing feed for LHM’s processing plant, are due to be exhausted before mid-2019. Paladin said in a statement on Thursday that the continued deterioration of macro factors, including foreign exchange rates and the prices of processing reagents, was making it unlikely that the company would be in a position to resume mining at LHM in 2018. “It’s deeply distressing to have to consider suspending operations at LHM because of the consequences for our employees and the broader community. 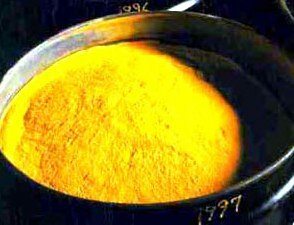 However, as there has yet to be sustainable recovery in the uranium market…it is clearly prudent to consider these difficult actions,” said CEO Alex Molyneux. LHM currently employs more that 600 direct employees and contractors.